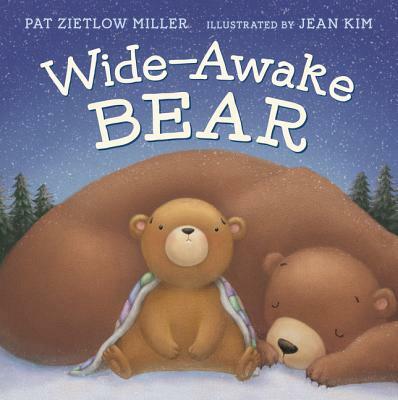 The adorable, relatable bedtime story of a baby bear who can’t fall asleep, from the award-winning author of Sophie’s Squash, Pat Zietlow Miller, and debut artist Jean Kim. Every baby bear knows the warmth of spring only comes after sleeping through the cold of winter. For little cub Elliott, however, it’s not that easy. First, something tickles his nose, rousing him from a dream, and then every shadow, noise, and passing thought keeps him up. No amount of fluffing of his pillow or tossing and turning will help. He even tries nudging his mom out of her slumber! But he’s…Still. Wide. Awake. Artist Jean Kim infuses Pat Zietlow Miller’s charming text with cozy warmth and playful humor. This beautiful picture book will be a favorite bedtime story for children, adults, and baby bears alike!